Georgia DUI Penalties - The Hube Law Firm, P.C. The penalties of a drunk driving charge in Georgia are lifelong and severe. If you have such a charge on your record, you need to understand the type of penalty you face and how to avoid or lessen it. The experts will tell you that the longer you wait to hire a qualified Statesboro DUI attorney, the harder it is to protect the evidence…evidence that could prevent a conviction. Any driver charged with a Georgia DUI can find themselves stuck with a child endangerment charge if they are in a vehicle with a passenger under the age of 14. The penalties for a first-time DUI in Georgia are slightly less intimidating, but still include fines between $600-$1000 and up to one year in jail (with a minimum of 24 hours in jail). You may also be required to attend alcohol evaluation (and meet any requirements they set), serve at least 40 hours of community service, and a one-year license suspension. After your second DUI in Georgia in a 10-year period, you will still face the $600-1000 fines and up to a year in jail, but a minimum of 72 hours must be served. You will also be required to obtain an alcohol evaluation, attend alcohol education classes, perform 240 hours of community service, and serve a three-year license suspension. In addition, you will need to install an ignition interlock device on your car for a minimum of six months. This device, similar to a breathalyzer machine, will not allow your car to start if it detects a certain amount of alcohol on your breath. If alcohol is detected within the six month period (or the court otherwise mandates it), you may be required to keep the device on your car for one year. If you are convicted of three DUI’s in Georgia you face a 5 year license revocation, 15 days of mandatory jail time, and fines between $1,000 and $5,000. In reality, most people convicted of three Georgia DUI’s within 10 years will serve much longer in jail than 15 days. If you are found guilty of four DUI’s and all of those convictions were after July 1, 2008, then you face a Felony DUI in Georgia. A felony DUI in Georgia may result in 1 to 5 years in prison, a 5 year license revocation, 480 hours of community service, and a fine between $1,000 and $5,000. 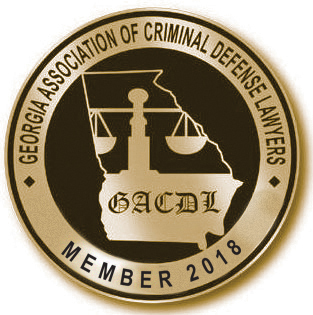 The penalties listed above are the legal retributions for a Georgia DUI charge, but you may also face loss of employment, higher insurance rates, travel restrictions, loss of security clearance, and other consequences. You don’t have to let a DUI conviction ruin your life. Call Statesboro DUI attorney Matt Hube today for a free case review.